The haunting love story of a young American sailor who falls in love with a girl battling Batista’s evil regime in pre-revolutionary Cuba, this is a fascinatingly accurate snapshot of time and place that will both intrigue and move the reader. The author has drawn on his own experience of pre-revolution Cuba to set history straight, weaving together fact and fiction. Telling the story of a young American sailor’s ill-starred passionate love for an older woman fighting in Castro’s revolutionary army, historical figures are introduced to paint a graphic picture of the mood of the times and the harsh reality of prevailing living conditions, against which the people of Cuba so valiantly rebelled. The tragedy and the triumph are masterfully set forth, leaving the question as to why the rest of the world so disastrously misunderstood the events that led an entire people to reject the cruelty and abject poverty imposed upon them by a heartless dictator and to wholeheartedly support perhaps the one man who could have united them and saved Cuba for its people. Fidel Castro’s moving speech at his trial under the repressive Batista regime is a graphic testament to a troubled time, but has been largely ignored in the U.S. Included in the fascinating factual section at the back, it makes this book a very important documentary piece, which coupled with the poignant love story at its heart deserves to be read by discerning readers everywhere. Having visited Cuba for mission work in the past, I was very interested in reading this story about pre-revolutionary Cuba. I found the Cuban people to be a warm and extremely friendly group, but I also picked up how difficult life is for them. Downright scary at times. Those of us who live in the States can’t imagine how hard life is for a majority of the people there. Mark Conte has managed to work a little magic by blending reality with fiction in this story. I picked up some of the Cuba I learned about firsthand told through the eyes of a young sailor who falls in love with an older Cuban woman. There is definitely a love story being told here, but also so much more. The writing is well edited and easy to follow, told in such a way that I felt like I was right there with the characters. I admire the author for not only giving us a realistic view of Cuba and her wonderful people, but also a realistic look back at history. Kudos. I think there is something to be found in The Winds of Revolution for every reader, whether you are interested in romance or a just a peek at a piece of history. I definitely recommend it and will look forward to more by Mark Conte. 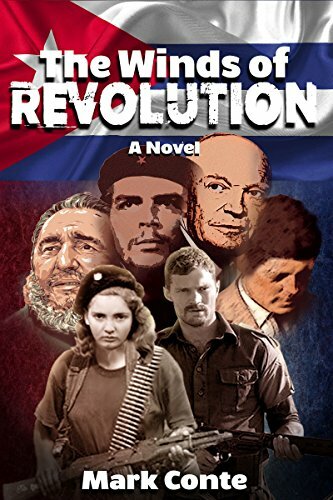 Posted by Denna Holm on December 4, 2017 in Archives and tagged Cuba, history, novel, Revolution, Romance. The Devil’s Lieutenant is a fast-paced story that managed to hold my interest enough to read in one sitting. It’s about a man who loses his wife and son to a terrible accident and then falls into deep despair, basically trying to drink himself to death. One night Lucifer shows up to inform Michael his family is suffering in hell and he needs Michael to perform a task for him if he wants any hope of rescuing them. The plot description caught my interest right away as I was curious what type of task Lucifer could have for a man. I did groan a bit at the start with the abrupt changes in the time line. This continues throughout the story and though I’m not sure I cared for it, I did eventually settle in. What Lucifer asks of Michael was interesting and unique. I can’t say I’ve ever read anything quite like it, so kudos to the author for coming up with something original. In today’s world, this is extremely difficult. I do feel the characters and the story needed to be fleshed out a little more. Though it’s a novella, I personally think it would have worked better as a full novel. I wanted to get inside the character’s head better, feel his pain for myself instead of sitting on the outside looking in. I received hints of awesome with his portrayal of the devil character, but it could have been so much more. The action scenes were interesting. I’m usually groaning because the pace is too slow and I end up skimming, but here, except for one scene with the KKK, I actually craved more detail. It’s hard to explain what I mean without giving anything away. You’ll have to read it for yourself. From the other reviews, most readers were extremely happy with the character development and pace, so I have to assume I’m in the minority here. I do recommend readers give this story a look. It’s a good, fast-paced read at a more than reasonable price of .99. I think the author is talented and I’ll look forward to reading more by him. Posted by Denna Holm on September 7, 2017 in Archives. i’M EXCITED TO ANNOUNCE THE NEW RELEASE “GHOST WARRIOR”!! YOU CAN PICK UP A COPY NOW IN PAPERBACK OR KINDLE AT AMAZON. Tallyn’s parents rule the most powerful werewolf pack on Laizahlia. As heir to the crown, they expect him to mate with a strong female, but he can’t deny his attraction to the short, curvy woman from Earth. He suspects there is more to Amanda than first meets the eye. To learn what, he must first convince her to trust him enough to remain on Laizahlia. Calem has waited centuries to right a wrong done to his mate and only daughter. Their deaths nearly destroyed him, but he sees a chance for redemption through Amanda. Tallyn was right to ask for Calem’s help, because he is the only one who can guide the petite female toward her destiny. Calem is determined to protect Amanda from facing the same fate as his mate and daughter, even if it ends up costing him his own life. 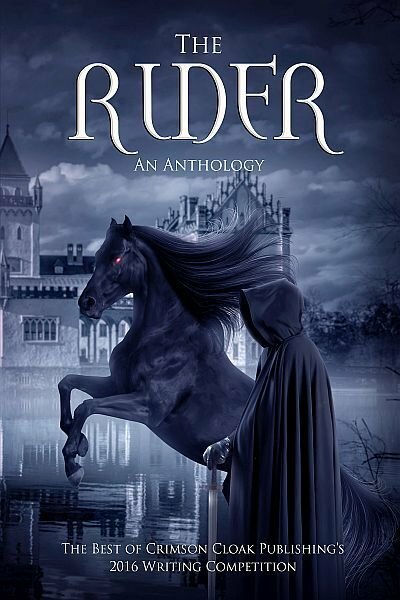 Posted by Denna Holm on September 2, 2017 in Archives and tagged aliens, novel, Science Fiction, science fiction romance, space, vampires, violence, werewolves. 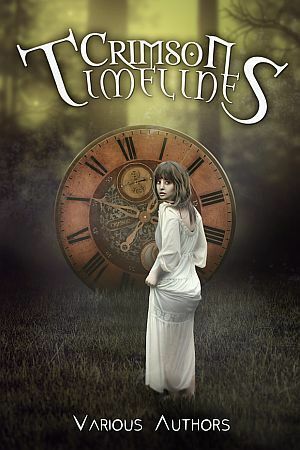 Crimson Timelines is an anthology of engaging stories weaving paths in time and the mind. Enjoy a stroll through the fourth dimension with these diverse authors. A great read with wide appeal. Stepping out of the Holocube by Janice Clark– A clever paradox story. Captain Tom’s Trophy Time Safaris by TW Embry– An escape to the past has unexpected consequences. Second Chance by Denna Holm– Gillian had longed for years to see her lost daughter and husband again. Could her prayers have been answered? The Man on the Beach by Rodney Page– A mysterious encounter proves life-affirming for a despairing man. The Tattoo by Esma Race– A window in time helps a mother to keep her promise. A Mother’s Love by P.J. Roscoe– Bittersweet memories of an often-absent parent. Mail by Patrick Shanahan– Unravels the consequences of a late-delivered letter. You can learn more about these authors and other wonderful books here at Crimson Cloak Publishing. Posted by Denna Holm on December 3, 2016 in Archives and tagged Anthology, science, short story, Time travel. When a present-day student, on a field trip to Kagoshima, Japan, found an ancient scroll in an abandoned monastery, he unlocked a dark secret that had lain hidden for over 1400 years. As he followed what turned out to be a trail of scrolls all across Japan and China and back, he was shocked to find himself reading about a 16th century feudal lord named Mitsui Hamada—a woman! Except there were no female feudal lords in 16th century Japan. Mitsui’s dark history began with a vow of vengeance, then faded into a sweet promise of love. But that promise was torn asunder as that love was ripped from her grasp in one horrific moment. Plunged headlong back into her nightmare of revenge, her enemy’s destruction was the only thing that would satisfy her. At that moment, she embarked on a twisted journey which sent her fleeing her homeland in pursuit of ancient knowledge. At the end of Mitsui’s bloody journey waited an enemy more dangerous and powerful than she could ever imagine. But, none of this was Mitsui’s secret. Mitsui’s darkest secret—only told in the scrolls—was that she was a vampire. But, in this tale of blood and vengeance, Mitsui’s was not the only secret . . .
Wow! That about sums up my feelings about this novel. I had a real love-hate relationship going on while reading Edo Blood and actually fought with myself a bit over the stars afterward. I was almost ready to give it four stars, but then the truth is, I couldn’t put this story down, finding it completely captivating. Anything that gives me that kind of rush, the “I’ve got to finish this” deserves nothing less than five stars. So now I’ll get down to the review itself. At the start of this story, Mitsui is a very young girl in 16th Century Japan, a male oriented society. Her father (a Samurai warrior) is a bully, who ends up raising another bully in Mitsui’s brother. But her brother attacks the wrong boy at school one day, one younger than him, and he is defeated, his father left humiliated. Shamed, their father sends his son to a monastery and then begins to devote his time to training his young daughter. He doesn’t do this because he loves her. He does it because he doesn’t have another son to train. Mitsui puts all the blame for what happened to her family on the shoulders of the boy who defeated her brother, not aware of the circumstances that initiated it. 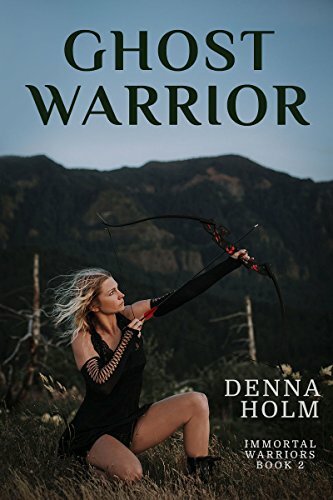 She is determined to train hard and become a strong enough warrior herself one day to kill this boy, vengeance all that matters to her. Kenji is the young boy who defeated Mitsui’s older brother, but he doesn’t have any idea what happened to Mitsui’s brother or that she grows up hating him. Kenji is a smart young man devoted to his training. He eventually ends up being in charge of the Daimyo’s personal guard, a great honor for a young man. The story mainly alternates between Kenji and Mitsui, both of them living separate lives, though we know they will eventually come together at some future point. Then we have the vampire element added in, which is completely different from any other type of vampire story I’ve ever read. I’ve held a lifelong fascination with vampires, be they the evil kind, the good kind, or even the sparkly types. Doesn’t matter, I like them all. But this story is unique, a little evil and a little something I can’t quite figure out. What I do know is that once I started reading, I had a tough time trying to put this book down, and it’s one of those rare stories that stays with you long after you finish it. I have a feeling most readers are going to be just as spellbound. Such a wonderful, realistic view of Japan. I can’t give it high enough praise. So, why the conflict with stars? The author has a way of getting the reader straight inside the character’s head, a talent I wish more authors had. It allows us to experience it firsthand right along with the characters we’re following. Unfortunately, there are a few places where we go off on little side stories, such as with the father of Mitsui. It’s all wonderfully written, but it took me away from the two characters I wanted to know better, Kenji and Mitsui. As a standalone book I would probably have preferred these scenes to be cut. But, because this is a series, I’m assuming these extra bits of information will probably be needed for future books. Regardless, the story is awesome, with vivid descriptions that I swear takes us right to Japan and the era involved. Am I going to buy the next one? You bet, can’t wait. 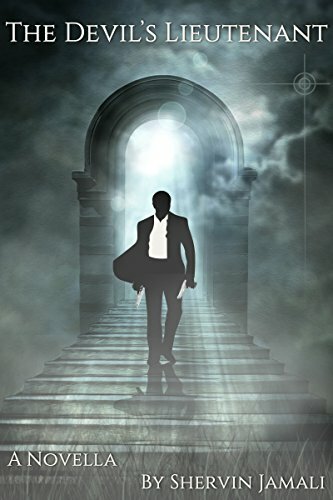 If you like vampire stories, I’m willing to bet you’ll like this one too. If you like martial arts, you’re going to love this, vampires or not. The same if you enjoy the history of Japan and Samurai warriors. I feel the author either has firsthand experience living in Japan, or he did a bang up job studying Japan’s history before he put pen to paper. Either way, kudos, I’m impressed. Posted by Denna Holm on October 17, 2016 in Archives and tagged friends, history, Horror, Japan, love, magic, Samurai, vampires, vengeance, violence. Prominent figures in Belfast are being murdered. The bodies are left naked and posed in grotesquely distorted shapes. No clues are left at the forensically immaculate crime scenes except odd theatrical props and some random numbers and letters concealed at each scene by the killer. How are the victims linked? What is the connection between these killings, the bible, and a famous medieval painting of The Last Judgement? 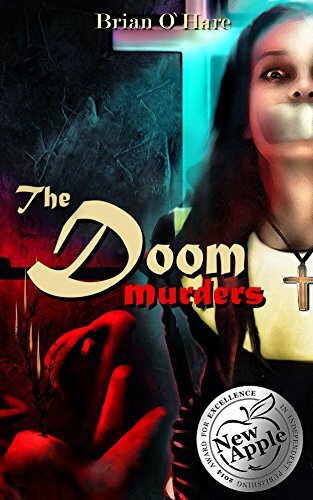 The Doom Murders has been the recipient of three literary awards – The IDB Award in 2014; The New Apple Award, 2014, for Excellence in Independent Publishing; and the 2015 Readers’ Favorite International Book Awards (Bronze Medal Winner). I love mystery novels like this one even though I’m terrible at figuring out the clues given along the way. Authors like O’Hare make us think like a real detective as we follow along with the characters in the story. I have to admit that I didn’t connect the title with any sort of religious element, but it does hold a prominent place in the story. Important figures in Belfast are being murdered, the bodies left naked and posed in grotesque shapes. The scenes are forensically immaculate. Chief Inspector Sheehan and his team must figure out how these victims are linked, what is the connection between the killings, the Bible and the medieval painting The Last Judgement? The character building was excellent here. I felt I had a real look into the minds of these people as they struggled through a difficult case, especially Sheehan. I noticed a few reviewers compared this piece to the Da Vinci Code by Dan Brown, but personally I thought this was much better. I couldn’t get through Brown’s novel, but had no problem here. It held my interest from start to finish. The scenes are also well described, brought to life in my mind. I like to picture myself there when I’m reading, much like playing a movie in my mind. If I’m not given enough from the author, it makes for a boring and dull story. That wasn’t a problem here. Points I didn’t like so much. Okay, point. A tad slow to start, though I’d admit the beginning to most novels can be a bit hard to get into. We need time and patience to get to know these characters and be given an idea of where the plot is taking us. I don’t dock points for a slow start. My stars are judged on how I feel after the first few chapters, whether or not I want to keep reading. Not a problem with this one. The Doom Murders held my interest from start to finish, and the end took me completely by surprise. I admit I’m not the brightest bulb in the pack when it comes to guessing murder mystery, but I’m willing to bet there are few out there who will guess this one. And I’m not telling you. You’ll have to go out and buy your own copy if you want to learn. Can’t wait to pick up my next novel by Brian O’Hare. Posted by Denna Holm on October 11, 2016 in Archives and tagged five star review, murder, murder mystery, mystery, religion, violence. New troubles are stacking up like cordwood for Chief Ranger Glenn Merrill, as Yellowstone’s existence is threatened by earth tremors and an imminent supervolcano. After a series of gruesome deaths claiming animals, tourists, and a ranger, it’s clear that something’s gone terribly wrong at the nation’s oldest national park. But putting an end to these mysterious deaths is more than just the chief ranger’s job — it may be his end. Obsidian Tears plunges Glenn, his Shoshone friend, an aggressive young seismologist and an Arapaho healer into a world of Indian mysticism. 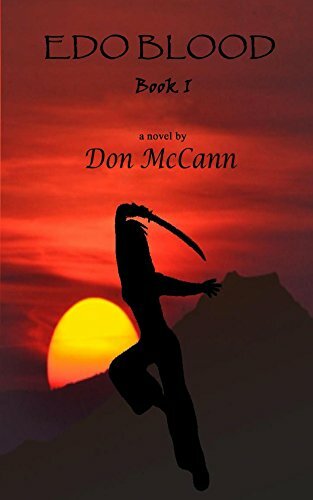 Will man and nature join forces, or risk losing all of humanity to an ancient evil? So far I’ve loved everything I’ve read by Lamoreux, (And I think I’ve read them all) so I wasn’t surprised to find myself getting lost in this story as well. It is well written, fast paced, and full of tension throughout. I had a hard time trying to focus on my own work, my mind always drifting back to the story until I could turn that last page. This is the second in the Apparition Lake series and I loved it just as much as the first one. Interesting characters, intense action and Mother Nature. What better setting than Yellowstone National Park? Couldn’t really ask for more? Troubles hits again for Chief Ranger Glenn Merrill, as Yellowstone’s existence is threatened by earth tremors and an imminent supervolcano. There are a series of gruesome deaths claiming animals, tourists, and a ranger, and it’s clear to Ranger Glenn that something’s gone terribly wrong at the nation’s oldest national park. 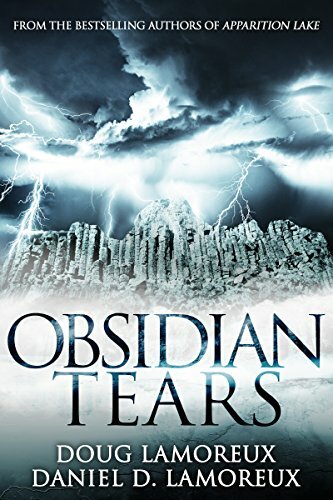 Obsidian Tears brings Ranger Glenn’s Shoshone friend Johnny Two Ravens back into the picture, and I have to admit he was one of my favorite characters from the first story. Man against nature, or man and nature joining forces against an ancient evil. You’ll have to read it yourself to find out. Posted by Denna Holm on September 16, 2016 in Archives and tagged chilling, cursed, evil, fantasy, Horror, legends, murder, tension, thriller, Yellowstone National Park.